The most advanced technology in circular saw blades for productive cuts. 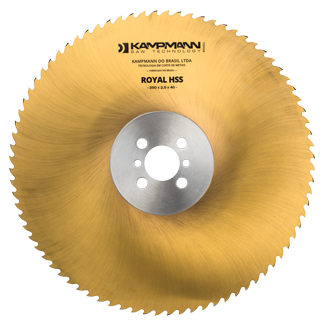 The circular saw blades from the ROYAL line (HSS) are recommended for cutting metals in automatic and semi-automatic machines, due to the heightened degree of hardness and high resistance. Its diameter varies between 160 mm and 620 mm. The Easycat line was developed for cutting materials with smaller cross-sections. As its cut width is narrower, it allows for greater utilization of the material to be cut. 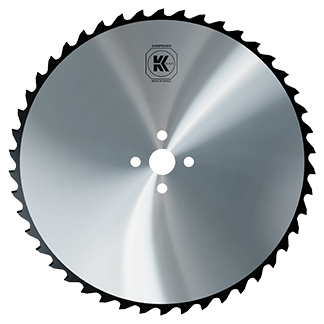 Depending on the application of the saw blade, it may be manufactured with carbide or cermet inserts, with or without coating, for conventional, flying or orbital sawing machines, besides the special geometry for the desired activity. The diameters of the models with carbide inserts are available up to 690 mm, and 460 mm for cermet inserts. The saw blades of the MULTICAT line have carbide inserts soldered on their teeth. They are used for productive cuts of metals with larger sections, in the forms of rails, bars, tubes and profiles, or multiple cuts. 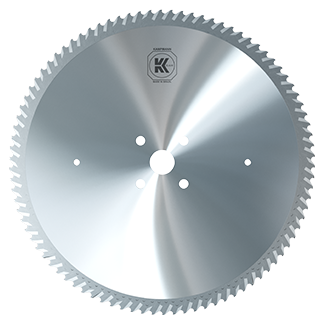 The saw blades in this line are available with diameters of up to 2200 mm. The PHOENIX BLADE line consists of circular saw blades with segments fixed to the saw blade using screws and bushing. This securing system allows for the segments to be interchanged and was developed for cutting materials of difficult machinability, such as the Super Cromo, duplex alloys and special stainless-steel alloys. This line of saw blades is manufactured on demand. 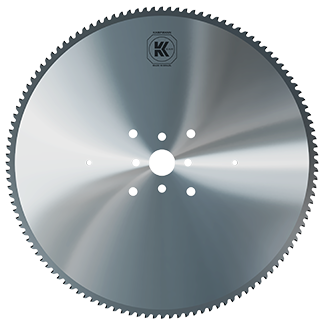 The line of THORBLADE circular saw blades is composed of saws with interchangeable and coated carbide inserts. This line is ideal for cutting metallic materials with large cross-sections in the form of rails, bars, tubes and profiles or multiple cuts in automatic machines. This line of saw blades is manufactured on demand. 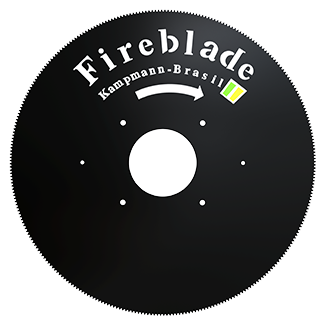 The Fireblade and Airblade lines, whose technology was developed in Brazil, are used for hot and friction sawing or cold cutting of metallic material on continuous production lines. In this application, very high cutting speeds and low feeds are used, resulting in fast, clean cuts. 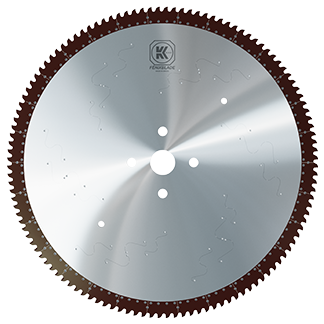 These saw blades are manufactured with diameters of up to 2200 mm. 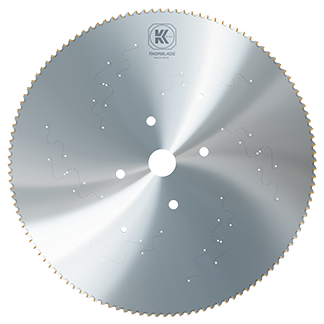 The KS line has saws with a central disk of tempered steel and riveted segments of high speed steel at its edge. They are used to cut various types of metals into larger sections. Diameter ranges between 250 mm and 1600 mm.